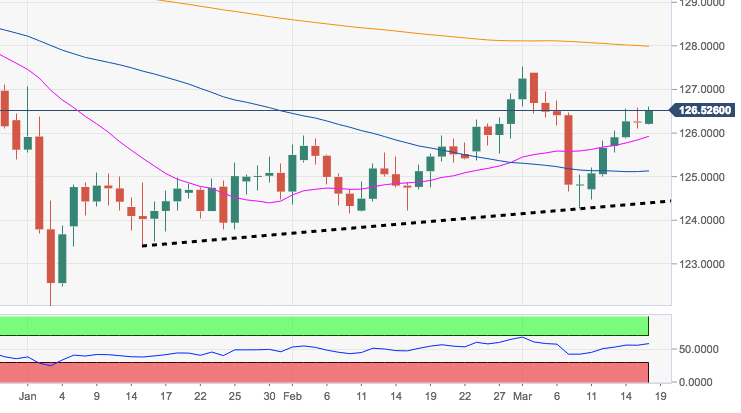 EUR/JPY has resumed its march north after Friday’s lack of direction and is now flirting with the 100-day SMA in the mid-126.00s. The continuation of the upside momentum should see the 127.50, or fresh YTD highs, revisited in the near term. In the meantime, while above the short-term support line at 124.39, the constructive stance on the cross should remain unchanged.